In the spirit of the Healthy New Year Six-Week Challenge 2nd Week’s theme, “Go Ethnic!”, I made a fresh, savory asian chicken fried rice with spicy baked chicken wings. I’ve always loved Asian flavors, you know, from take outs…but I haven’t managed to achieve that flavor myself, at least not until last week. The base of most Asian cuisines is ground ginger and garlic! It’s magical really! If you want to boost that flavor even more, just add a little honey, a little chili, a little lime and voilà, delicious Asian flavor base! So, I wanted to try this new-found base out and what’s easier to experiment with than chicken? The chicken breast with the fried rice was the easier part of the cooking, but since I’ve never baked wings in oven, I was afraid how I’ll manage to bake it completely, but not let it dry out…well, a little water pour under the wings from time to time made the trick. So the result was an amazing smell that filled the whole house and an even more delicious dinner with perfectly baked wings and a savory chicken fried rice! 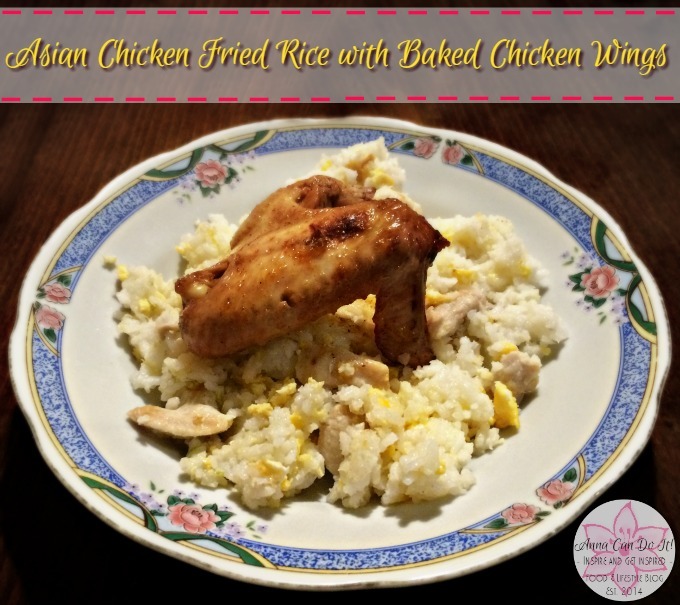 Fresh, savory asian chicken fried rice with spicy baked chicken wings. Ground the ginger and the garlic. Mix them with the oil, salt and chili. Pour the half of the ginger-garlic mixture to the chicken breast, and the other half to the wings. Pour the soy and Worcestershire sauce on the wings. Marinade them for 15 mins. Fry the breast in a pan. Bake the wings in the oven for 20-30 mins. When the chicken breast whitened, add the rice, mix them, then add the eggs. Fry them with constant stirring. Use the sliced scallions for decoration and for its fresh taste. Do you like Asian cuisines? 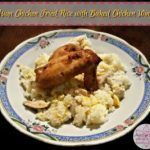 Do you cook/bake Ethnic food yourself?